Writing about sensitive subjects, like depression or suicide, can be a hard thing to tackle. 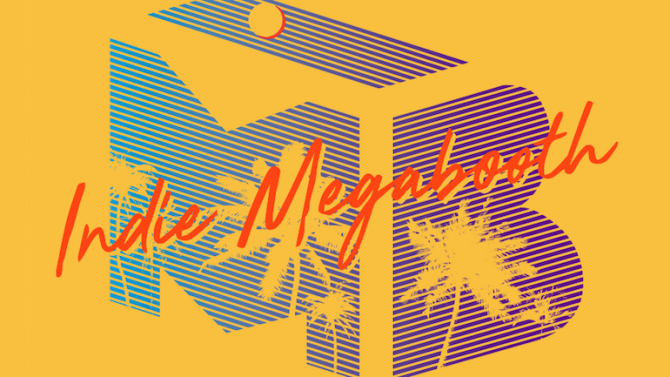 Eloquently told stories about the human psyche and the effect it can have on you and those around you are typically regarded as some of the best ever, regardless of medium. Works like Blade Runner, Celeste, and The Great Gatsby have told these tales exceptionally. 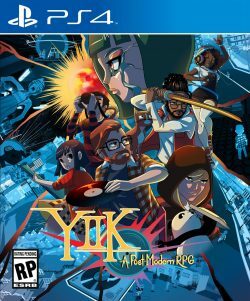 However, if these tales flounder, like Ackk Studios’ YIIK: A Postmodern RPG (pronounced why-too-kay), getting through it is almost unbearable. 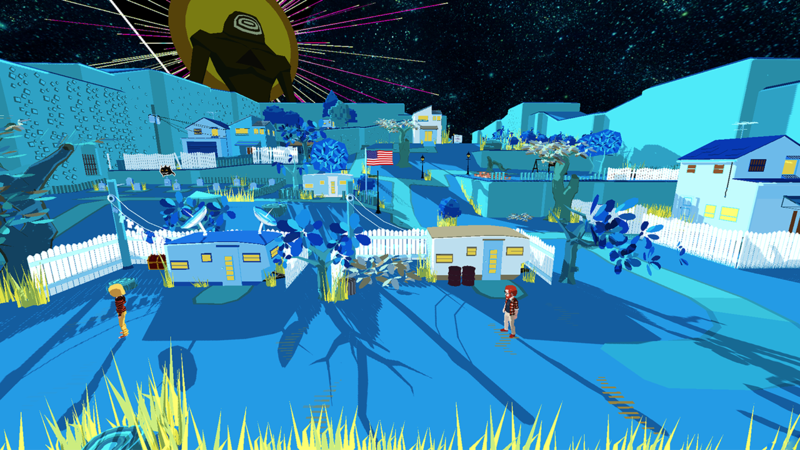 The overtly zany YIIK is an RPG is set in 1999 and stars Alex, a 20-something-year-old who recently obtained his liberal arts degree and is now living with his mother at his childhood home. Upon arriving, you see a grocery list your mother leaves for you. As you make your way to the store, you meet a stray cat that takes your shopping list. You follow it to an abandoned factory where you inevitably meet a girl by the name of Semi “Sammy” Pak. Right as you begin to connect with her, she is stripped away by two mysterious figures as her eyes begin to bleed and is begging for you to save her. Sounds super interesting, right? Well, I’m afraid that is where that intrigue peaks. Once you meet the fourth party member and help him find his sister, you begin to learn just how convoluted this story gets. 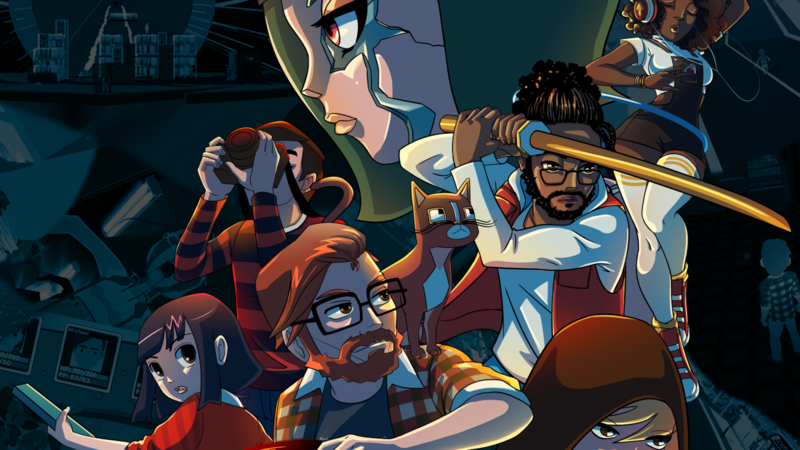 YIIK: A Postmodern RPG attempts to weave a story about sadness and depression within a science fiction narrative and it’s downright confusing. You learn that the entities that took Semi Pak are presumably Soul Survivors, beings (in this case, humans) that have given up their physical form–most of the time due to overwhelming depression–in favor of a metaphysical one. Soul Survivors are housed in the Soul Space, a space between different realities. From my understanding, Soul Survivors can enter a new reality as a different person within a different world as long as 1) the person who had the same soul as you was not present in that world or 2) if your soulmate was present within that world. All of that information is explicitly told to you once. Any other time it was mentioned, it is presumed that you have a full understanding of what is going on. There is a moment of clarity that made me fully understand the whole soul situation but up until that point, I had no idea what was going on or why it even mattered. In some ways, I think it is intended to be a mystery since the story itself is about your party trying to understand Semi Pak’s disappearance. In the beginning, I was actually interested to see where this game went. By the time I was ten hours in, I was more frustrated with why the story was told in such a complicated way rather than being eager to press forward. While all that soul stuff is integral to the story, it is just a small part of it. 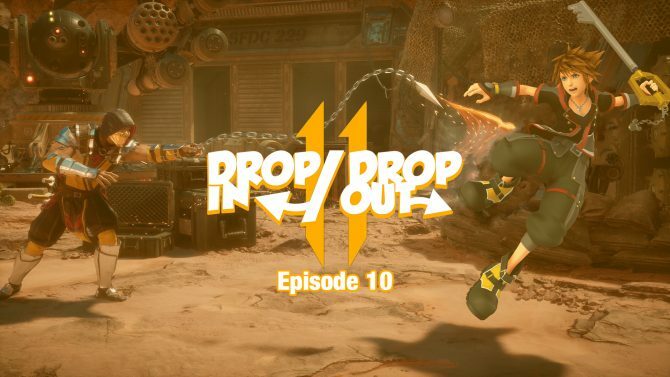 All of your party’s misadventures are all seen from Alex’s perspective where he is personally dealing with his own inner turmoil and how he fits into Semi Pak’s disappearance. A lot of the openings and ends of chapters begin with a sort of soliloquy, laying out Alex’s take on the wacky situation at hand. Every moment like this, I simply hated. I’m not sure if it was the writing or the voice acting–yes, this game is (mostly) fully voice acted–or a combination of the two, but I hated Alex. Every line felt like the writer was shoehorning big words into the dialogue so Alex sounded like an intellectual, but instead he just comes off as a huge douche. I mean, he is a giant douche in the beginning, but there is character growth which makes him more likable. That is until he has some pretentious inner monologue again — then I’m reminded that I absolutely hate him. I will say that the rest of the voice acting is pretty good. I liked Vella Wilde–a bass playing prodigy who can manipulate sound to hurt her enemies–the most out of the bunch. 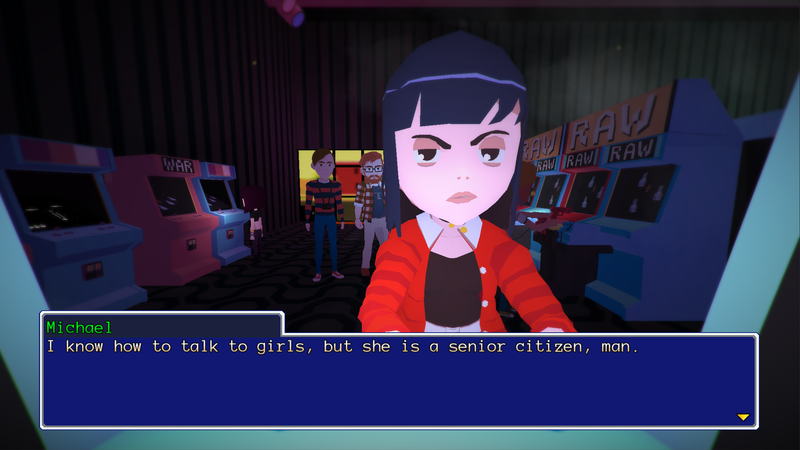 From the voice acting to how she is written, she is the most compelling and likable character in YIIK’s cast. The rest of your gang are all likable but they don’t stand out as Vella does. Alex’s thoughts may be poorly written but it’s something I could brush off. It’s not a requirement to like the main character to enjoy a game. Where the writing becomes almost offensive is when it attempts to make a statement. It’s as if the devs looked up the term “woke” on Google and forced in a bunch social issues that hardly seem relevant to the actual narrative. One example of this includes one of two black characters, Claudio, where he straight-up pulls the race card to tell his friends he can’t pick a lock after they find a locked van they have to get into. He was never asked if he could do so, nor did anyone ever say that he had to pick the lock. Claudio just makes some random shoutout to him being black and says he doesn’t fit into a stereotype. There are a number of these instances and they are handled so poorly. It would be different if there was actual world building and we saw that there was discrimination and hate towards certain groups. 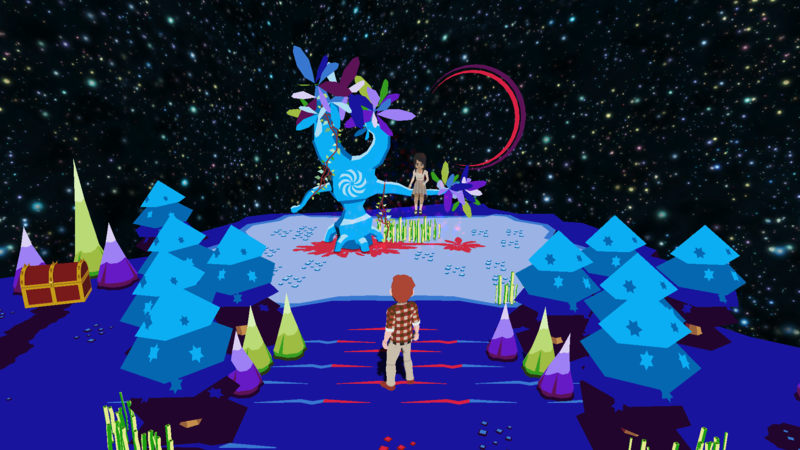 However, YIIK: A Postmodern RPG seemed to present itself as a science fiction tale that focused more on depression rather than the unfortunate social issues we have in our world today. They are swinging at the lowest hanging fruit and it comes off as pandering rather than actually making a statement. It is unfortunate that much of this game is dragged down by its writing and story because the rest of it is surprisingly pleasant. The gameplay is heavily inspired by the JRPG genre mostly in part to its turn-based combat. Like most turn-based games, enemy encounters can be initiated by running into an enemy within an actual setpiece or randomly when roaming around the game’s overworld map. The order of attack is determined by the character or enemy speed stat; for me, Alex had the highest speed stat out of my party of four so he would typically go first unless the enemy’s speed was faster. Combat uses a menu system similar to games like Final Fantasy or Pokemon. During this phase, you have two options for inflicting damage; the first is “attack” and the second is “skill,” both of which require you to play a mini-game in order to deal damage. For example, Alex’s normal attack will spawn a spinning record on screen with two yellow spaces and one red space. As the record player’s needle crosses one of those spaces, you must hit the action button in order to string a “combo.” Hitting these spaces consecutively will increase your combo and deal more damage. If your timing is off on the red space, your combo will end. These mini-games are present in everybody’s attacks and they are all different providing some variety to what would have been monotonous. One moment, I would be playing a keyboard to heal my party, the next, I attempt to take a bad picture of my enemy so they become weaker. The diverse combat actually had me looking for battles rather than trying to find ways to avoid them. 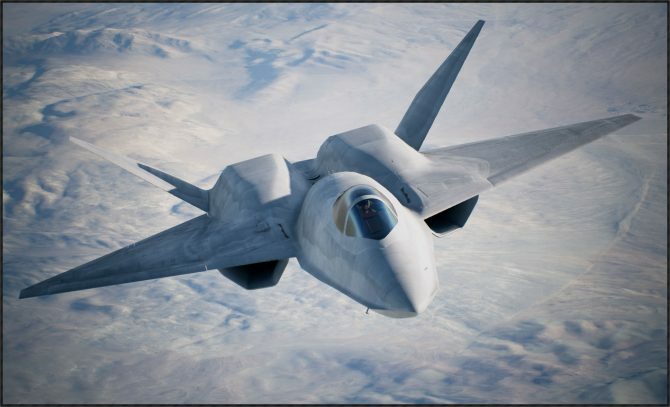 Where I think the combat does falter is in the defending phase. When an enemy attacks you, a vertical bar will appear on the left-hand side of the screen. Depending on what type of attack the enemy attempts to hit you or your party with will yield different types of button prompts. Similar to Alex’s attack, yellow and red spaces are on that bar and you’ll have to stop a reticle on the colored spaces to either take less damage or dodge the entire attack completely if the enemy tries to attack one party member. If the enemy tries to attack multiple enemies, two small bars will appear with a button prompt at the bottom; in order to take less damage, you have to hit the button prompt when the reticle moves over the yellow space. Again, it does help provide some sort of variety in combat. However, there were times where my reticle was clearly in the red yet I would take a hit anyway. It seemed that if even a corner of that reticle was not in the space, it would be considered a miss. When I missed a combo during my attack phase, it felt like I was at fault. Missing during the defense phase was just annoying, especially when I can clearly see the center of the reticle within one of the colored spaces. After each battle, you’ll earn experience which is used to level up your party. To do this, you have to enter the “Mind Dungeon” which can be accessed at save points. Since the story is told from Alex’s perspective, it is Alex’s Mind Dungeon you enter allowing you to choose which attributes you want to increase. The dungeon is essentially a set of levels with four doors. When you enter the doors, you choose which attributes you want to increase or you’ll receive a new skill for one of your party members. Each door also has a number above it indicating how many points will go into the chosen attribute. After you allocate those points, you’ll spend 100 experience points to go down to the next level. I do think this gives you some sort of agency since you have to manually level each of your characters. It’s pretty novel at first but there is a point where this process does get a bit tedious. Having to find a save point to then enter a bunch of doors to increase a bunch of attributes takes more time than I would like. This area does contain my favorite song in the game, so at least I got to listen to good tunes during the process. 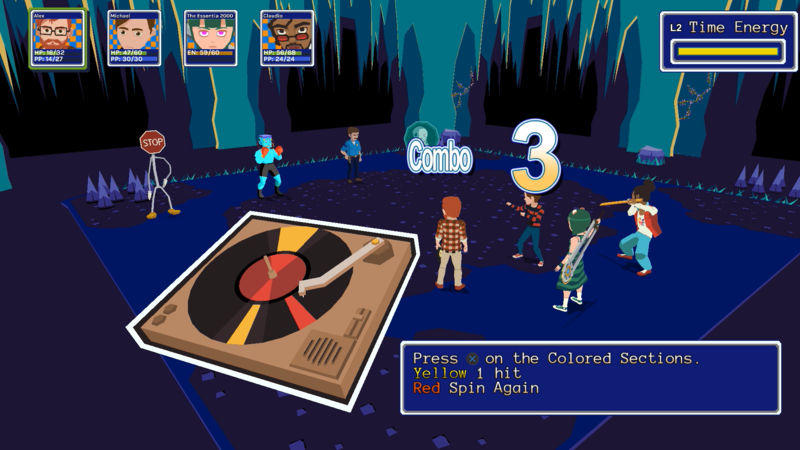 Speaking of music, YIIK: A Postmodern RPG has an amazing soundtrack. With guests like Toby Fox (Undertale) and Hiroki Kukuta (Secret of Mana), there are some really fantastic songs here. Most of the battle music–save for the disco-inspired one within Vella’s Mind Dungeon–is great and makes each encounter exciting. It perfectly complements the game’s goofy world and cartoon art style. 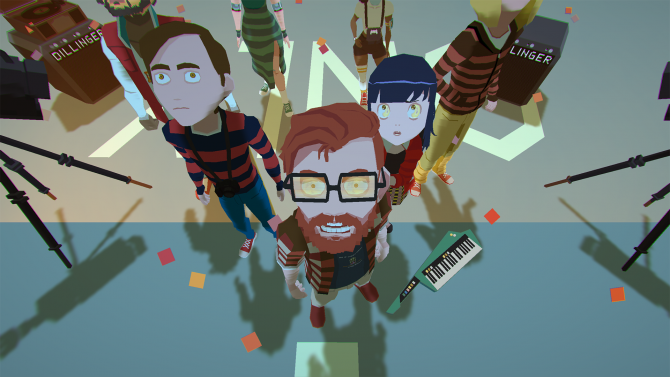 There is a lot to like about YIIK: A Postmodern RPG but great tunes and an okay turn-based battle system can only do so much to rectify its glaring problems. Alex’s dialogue is some of the worst I’ve read and heard in a video game. The only facet worse than this is its attempt to make a statement where one doesn’t need to be made. YIIK is a fairly interesting tale turned into convoluted mush with a dash of unnecessary and unearned social commentary. Whether its depression or racism, any heavy issue this game attempts to tackle is executed so poorly. I really wanted to like YIIK but with all of its missteps, I was always reluctant to go back to its quirky world.